All kids are beautiful, as proven by a campaign which features adorable models, some of whom have a disability. Andie, Johanna, and Marcus star in SM Kids’ #AllKidsBeautiful campaign. SM Kids launches #AllKidsBeautiful campaign in partnership with Miss Possibilities Foundation, a non-profit organization that helps kids with special needs show their true beauty and promote self-confidence. 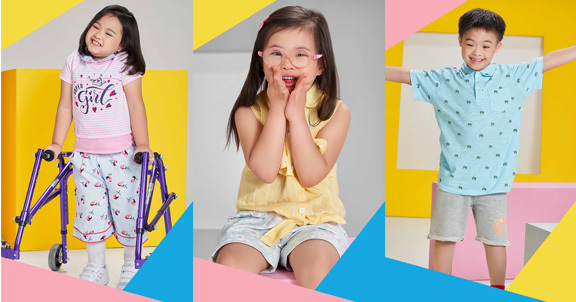 The campaign captures the young models with special conditions like Down syndrome and cerebral palsy enjoying their clothes and confidently celebrating who they are. The pieces worn by kids are available at the children’s wear section of The SM Store nationwide.